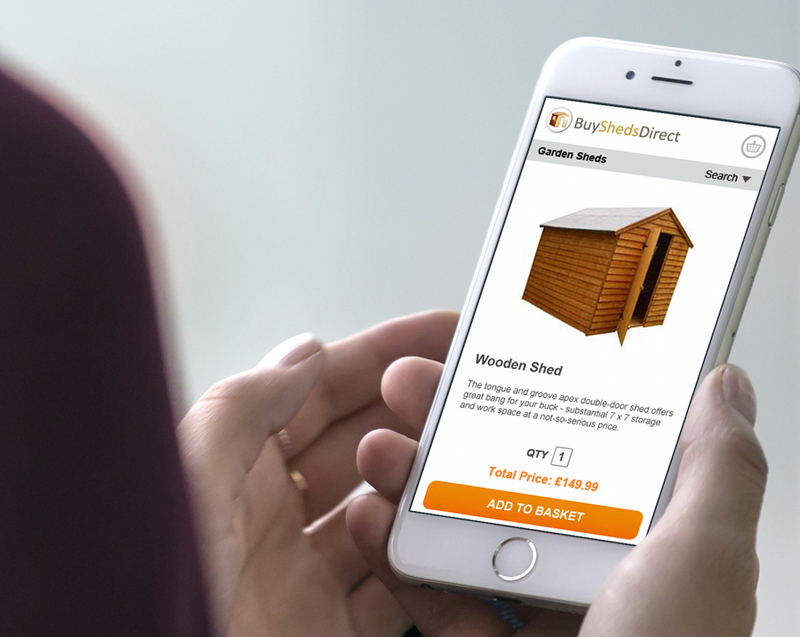 Multi-site ecommerce with innovative features for one of the UK’s largest suppliers of sheds and outdoor storage buildings to the public, Buy Sheds Direct. Buy Sheds Direct commissioned PureNet to design and build a trading platform that could cope with high volume, multi-site B2C ecommerce. The solution would need to encompass all three of their websites; BuyShedsDirect, BuyDeckingDirect and BuyFencingDirect and needed to be in place to begin taking orders in their peak trading period in the Spring. The solution was required to encompass three different websites. The new solution needed to be capable of handling large amounts of traffic during peak periods and seasons. The new solution required additional marketing tools such as product recommenders, A/B testing and advanced promotions. The company’s three sites incorporate a range of best practice merchandising functions to present thousands of products in the best possible way. Marketing tools, easily managed in-house, drive a host of up-sell and cross-sell features. When viewing selected products, multi-buy offers, complementary product options, free delivery and discounts are displayed to encourage increased spend. Powerful reporting tools allow the success and profitability of marketing activity to be closely scrutinised. The sites feature built-in functionality for the company to do their own A/B and multivariate testing, which enables the company to simultaneously test different variations of the website’s design in order to gauge the success of different page layouts and messages to ultimately maximise the value of each visitor. Choosing PureNet for its cost effectiveness and impressive functionality, the websites were launched within a three month timescale. Managing Director, Buy Sheds Direct. Average Order Value has skyrocketed for Buy Sheds after implementing automated marketing optimisation . The new solution has led to a higher than anticipated increase in revenue year on year. 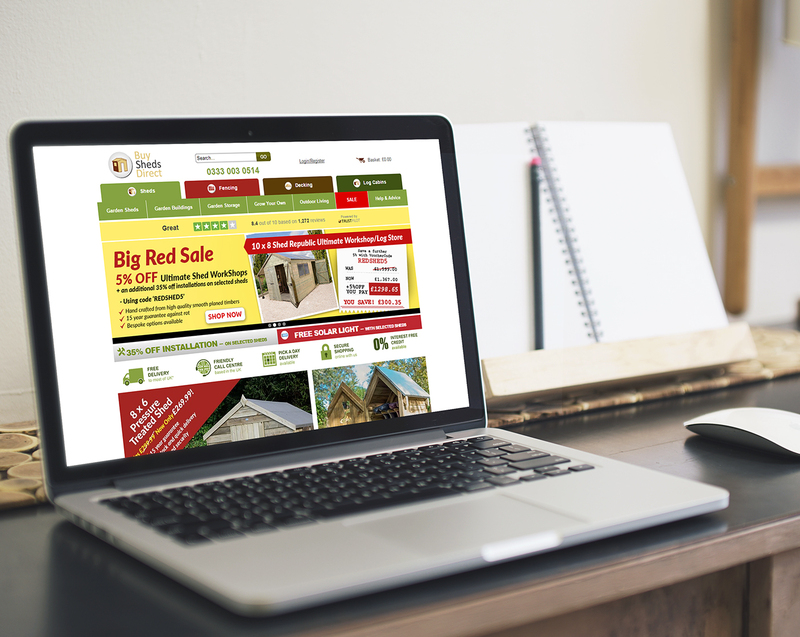 With three new sites, Buy Sheds' industry share has increased and its website visitors continue to grow. As a result of launching a mobile optimised solution BuySheds' mobile revenue has soared by 133%.